As the Internet era and the use of smartphone is very popular in the world. Especially the rise of smart home, today’s people urgent need a new access control management system that able to run on the Internet, providing cloud intercom, and with more audio and video services. In response to this new trend, Avadesign Technology provides smartphone intercom APP and cloud service to meet the needs of the public. You can see your visitors, speak with them and open the door by smartphone or tablet – from anywhere in the world. The VBell App is available on Android and iOS smartphones and tablets. When people use the intercom the most important thing is to know who is in front of your door. Just one finger touch the screen of smartphone then you can see the visitor image. VBell IP door phone and APP combines convenience and security - at any age. Download and use the VBell APP is free charge. 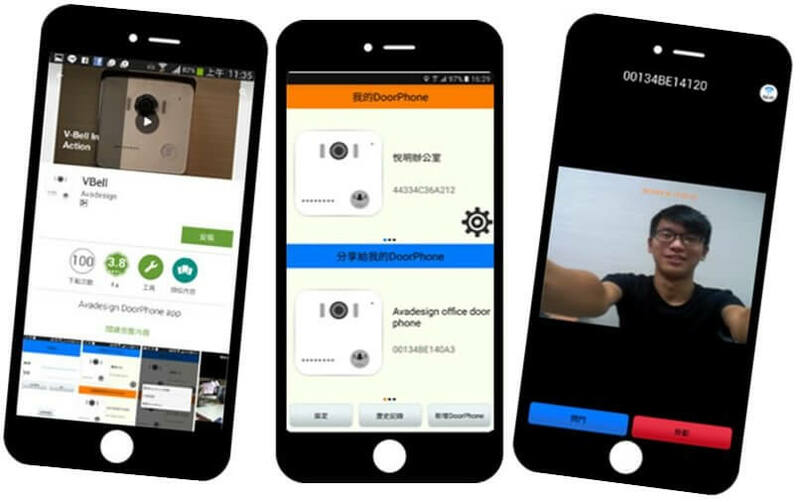 You can share your DP-104 SIP IP video door phone with your family via the VBell Smartphone / Tablet VBell APP function. You can also cancel the sharing function at any time.